There is an interesting story in the history of the brooms. In its original form the broom was a lot different in shape from the broom we use today. It was made out of branches or weeds and not out of sorghum. In the middle ages people considered the broom to be a witch’s means of transportation. The first dated event of this kind dates from 1453 and the man riding the broom was Guillaume Edelin despite the popular belief that witches are strictly females. Of course, this event has never been proven. 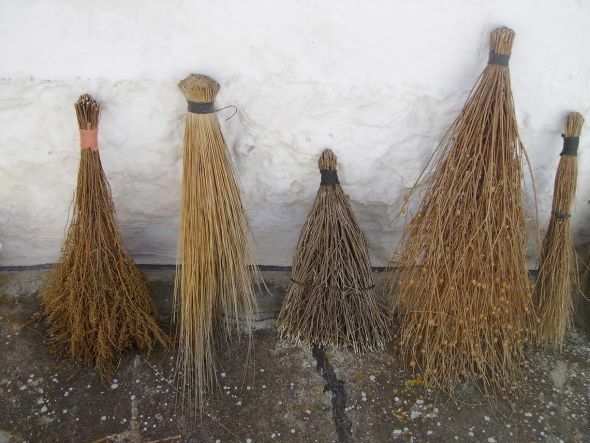 By the year 1797 the broom looked like the brooms we see in fairy tales, myths and folklore. It was made out of branches held together by some rope attached to a bigger branch which was used as the handle. This broom concept is called the Besom broom. The broom stayed in this form until an American inventor Levi Dickenson made the first sorghum broom for his wife. It still didn’t have the shape of a modern broom, it was bulky, hand sewn, round but it was made of sorghum. Dickenson’s wife showed it to their neighbors who liked it and showed it to their neighbors and so begun the demand for the sorghum broom and its evolution. In the year 1810 a wooden broom shaft was introduced. To fasten the sorghum onto the shaft a hole was made in one end of the stick and then the sorghum was tied down with a rope and held together by a wooden nail that was inserted into the hole in the shaft. Flat and plain shovel like shape of the broom (called: besom, push broom, corn broom, whisk broom) which stayed the same to this day was allegedly invented by an American United Society of Believers, also known as “The Shakers”. 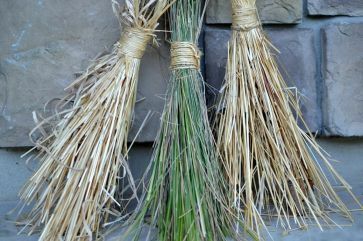 They were also the first to use metal wire in the broom production. In the beginning of the nineteenth century machine usage has been introduced in the broom making business. To the middle of the twentieth century brooms were made out of biodegradable nature friendly materials: cylindrical wooden handle and a stack like broom head tied together with thin branches of heather, sorghum, birch and similar plants. Today the brooms are made with the assistance of electrical machines but it is still a hand crafted production as is the case also with our factory. 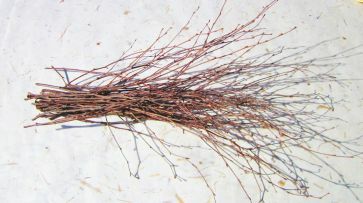 Sorghum broom is a work tool used for cleaning different kinds of surfaces and spaces mostly floors. Its application depends on the model, length of sorghum fibers, weight, length and radius of the shaft. To make a high quality broom the materials must be prepared and processed properly. 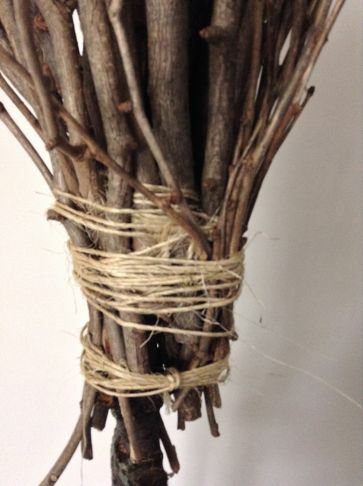 Materials needed for the making of a broom are: sorghum (sorghum vulgare), wooden shaft, rope, wire and one nail.